Imagine tall ships, schooners and yachts crowding the shimmering waters of Hobsons Bay for a grand regatta. Gleaming white sails unfurl and colourful flags fly in the seabreeze. This spirit of joy and the confidence of a young city are captured in an exquisite watercolour of early Melbourne, not seen publicly since it was painted in 1862. View of the north shore, Port Melbourne by WFE Liardet is a rare and evocative glimpse of maritime life in mid-19th century Melbourne. But it has been hidden from the public for more than 150 years, held in a private collection. Now, with the help of our valued supporters, we now have the chance to acquire and share this historic treasure, for generations to come. 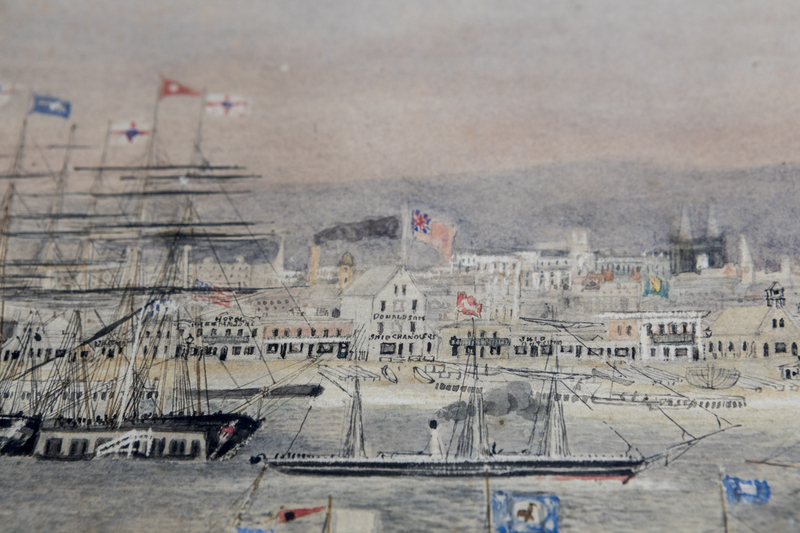 State Library Victoria seeks help to raise $100,000 for the purchase and conservation of this significant watercolour. With the support of the public, State Library Victoria will be able to acquire View of the north shore, and also undertake the meticulous work necessary to stop irreparable deterioration. 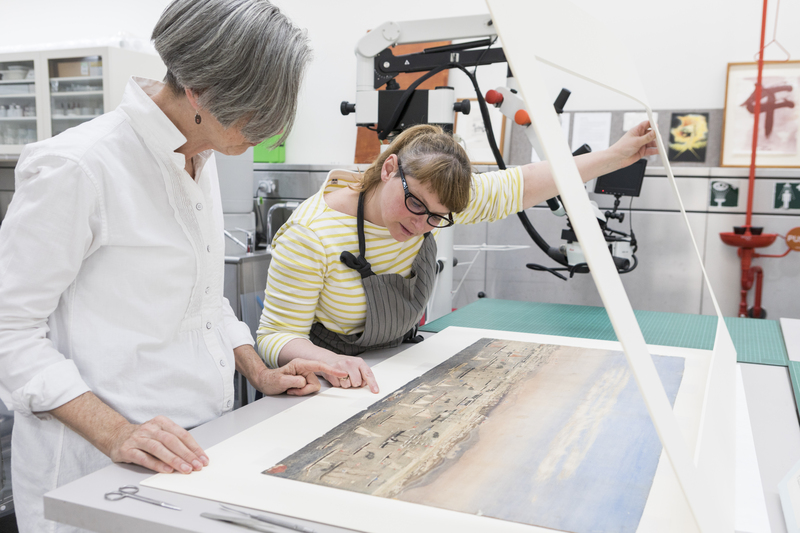 View of the north shore’s colours are remarkably vibrant and rich for a work of its age, but we must act fast to preserve this delicate work on paper for the future. When London-born Wilbraham Frederick Evelyn Liardet sailed into Hobsons Bay in 1839, with his wife and nine children in tow, he saw the potential in the booming city of around 4000 people. He became a prominent founding figure in Port Melbourne (a street there still bears his name), and established a string of businesses ranging from an overland passenger service to the magnificent Brighton Pier Hotel. Later in life, Liardet’s vision and aspiration were channelled into art. 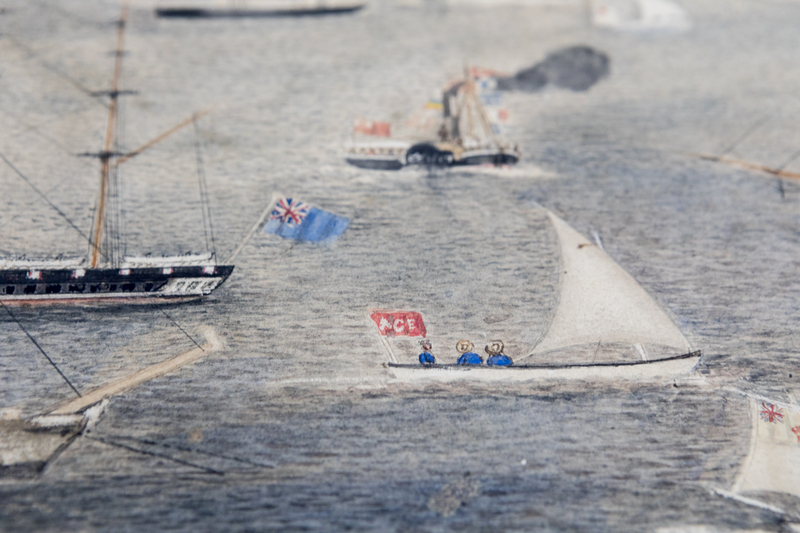 His charming watercolour illustrations bear witness to everyday life in early Melbourne – from the first punt floated on the Yarra River to the celebrations on Flagstaff Hill when Victoria separated from New South Wales. View of the north shore is a pre-eminent example of Liardet’s work, entirely unique in its scale, its detail and its ambition to share the vitality and potential of a thriving young city with the world. 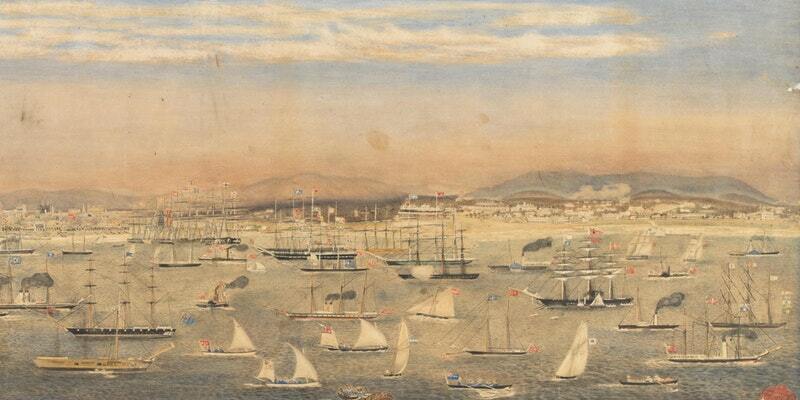 State Library Victoria is also hosting the first public viewing in 155 years of View of the north shore, Port Melbourne by WFE Liardet, along with related items from the State Library Victoria collection, on Monday 4 December. Guests will also hear from two special guest speakers: Alison Inglis, Associate Professor in Art History at the University of Melbourne, and writer and historian Robyn Annear. Bookings are now open. Find out more about the artist, WFE Liardet in the La Trobe Journal. Donate to the 2017 Collection Appeal.